What to Do When iPad Stuck in Recovery Mode? Based on the experiences of a lot of iPad users, it’s easy to come to the conclusion that update can, sometimes, easily make Apple iPad stuck in recovery mode. You can easily find old iPad models like iPad 2 stuck in recovery mode online and it even happens to new devices like iPad mini. Actually, there are simple solutions to this problem. If your iPad got stuck in recovery mode, you can use iTunes to restore it and get it out of recovery mode, but the price is that you’ll lose all your data in iPad. But if you’ve backed up your iPad previously, this shouldn’t be a problem. Here’s how to fix iPad stuck in recovery mode with iTunes. 1. Connect your iPad to your computer with a USB cable. 3. A window would pop up and says that “iTunes has detected an iPad in recovery mode. You must restore this iPad before it can be used with iTunes.” Click OK to close it. 4. Find the iPhone icon in iTunes and click on it to go to Summary panel. And then click Restore iPad. 5. A window would pop up, click Restore to confirm the restoration. When it’s done restoring, your iPad should restart and you can set it up as new. Other than using iTunes, you can also use some third party apps to help your iPad get out of recovery mode. 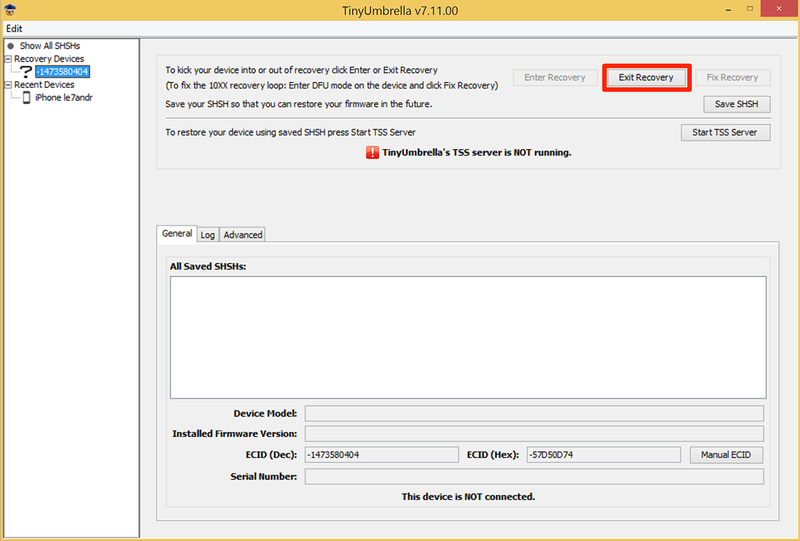 Below are two programs you can use to exit recovery mode. 1. Download TinyUmbrella and install it in your computer. 2. Open it and connect your iPad to your computer, you should be able to find your iPad under Recovery Devices tag. 3. Click on your iPad and on the right side , find the Exit Recovery button and click on it. And it should get your iPad out of recovery mode. 1. Download and install RecBoot in your computer. 2. Launch it and there are two buttons on the interface: Exit Recovery and Enter Recovery. 3. Click Exit Recovery and it should get your iPad out of recovery mode immediately. Note: The two tools above have both Windows and Mac version, you can use them on both Windows and Mac OS to help fix iPad stuck in recovery mode. If your iPad got stuck in recovery mode, you might have to restore your iPad in order to get it out of it and it might lead to data lost on your iPad. 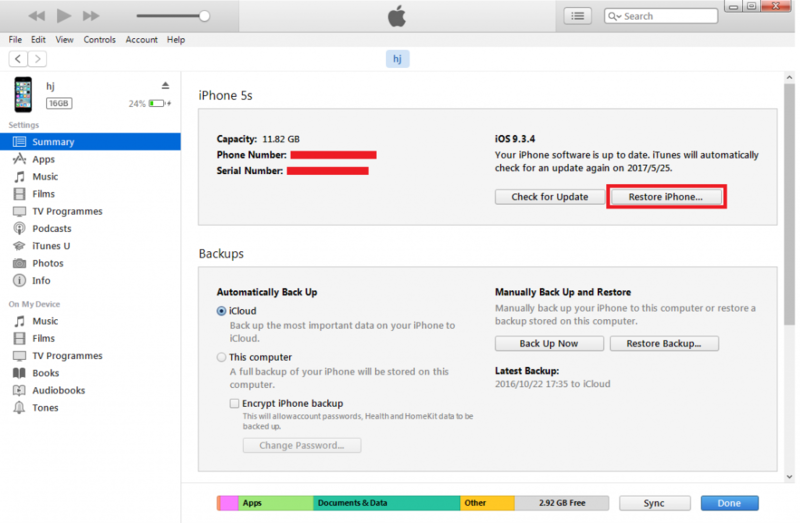 So you should probably back up your iPad in advance in case of data lost. 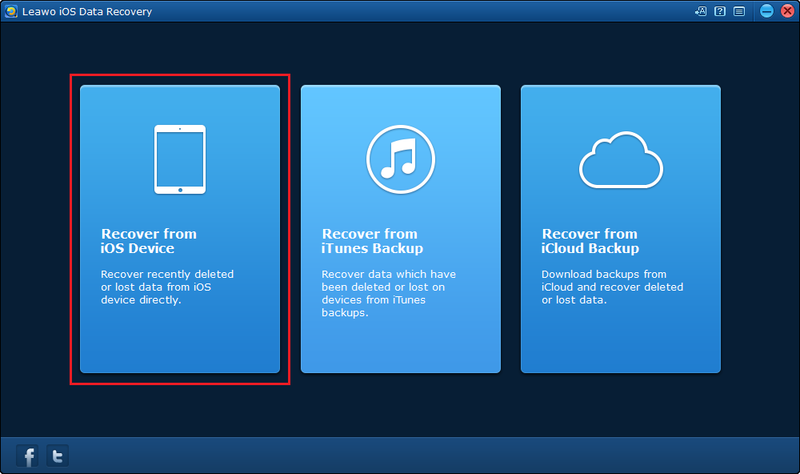 To back up the whole iPad, you can use iTunes or iCloud. For people who only need part of their data to be backed up, here’s a great choice. Leawo iOS Data Recovery can help users back up specific files on their iPad to computer, which is practical for people who don’t need all their data to be backed up. 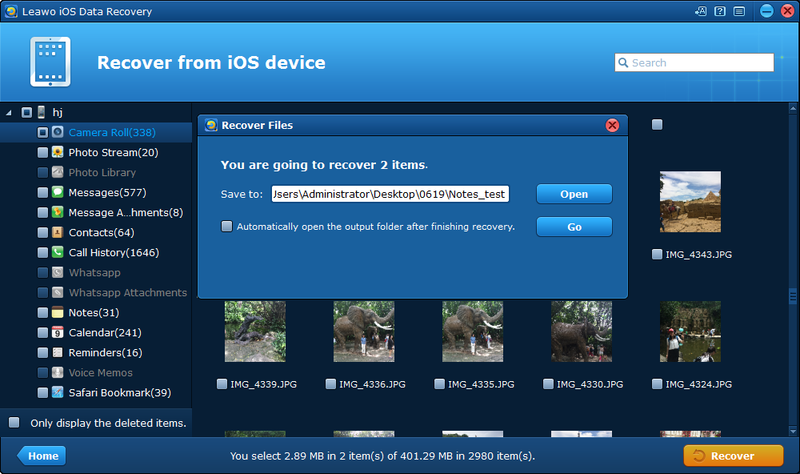 Here’s how to use Leawo iOS Data Recovery to back up iPad in case of data lost due to iPad stuck in recovery mode. 1. Launch the program on your computer and there are 3 tabs on the interface for you to choose. Click Recover from iOS Device. 2. Next an iOS device list would come up. Connect your iPad to your computer and the program would recognize your device. 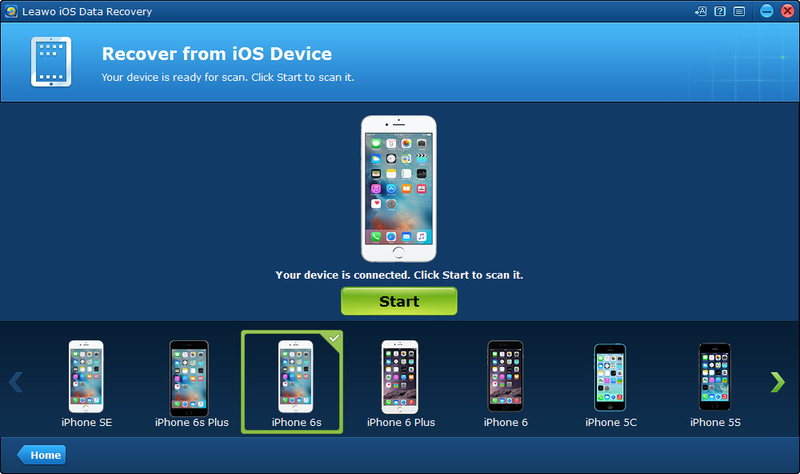 And then click Start button to let the program run a thorough scan on your device. 3. When the scanning process completes, you can check out the files on your iPad in the program. Select the files you want to back up to computer and click Recover button at the buttom right corner. 4. 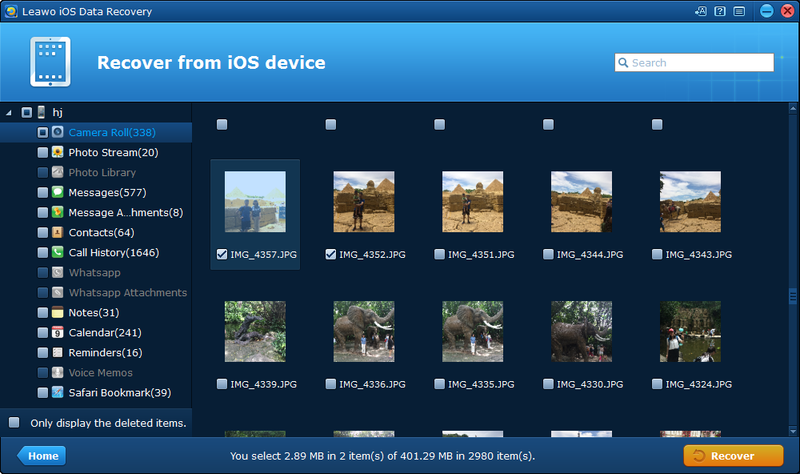 On the following window, click the Open button to set directory for the backup and click Go button below to start backing up your iPad. Sometimes iPad, no matter if it’s the old or new models, can get stuck recovery mode during update. If it does happen to you, just give the above methods a try and most of the time, they can have your problem solved with ease.